Simply put, it’s a swirling mass of plastic in the middle of the Pacific ocean that is big enough to qualify as the planet’s largest landfill. Roughly located in an area between 135° to 155°W and 35° to 42°N, much of the world’s trash has accumulated into this part of the Pacific Ocean based on the movement of ocean currents. A rose any other name applies to the Pacific Garbage Patch — you’ll also hear it called the “Great Pacific Garbage Patch,” the “Pacific Trash Gyre,” the “Pacific Trash Vortex,” and the “Oh My…What Have We Done! ?” among other names. No one is guiltless when it comes to the Pacific Garbage Patch – if you consume and discard goods, you are responsible for some portion of the plastic that is ending up in the ocean, even if you live hundreds of miles from the seaside. All rivers lead to the sea, as they say. Trash that ends up in a stream in the middle of the US can end up in the ocean and, with the help of ocean currents, find itself in the middle of a trash vortex. What’s the impact of marine litter on wildlife? The plastics found in the ocean have a dire effect on marine life. Turtles confuse plastic bags for jellyfish and birds confuse bottle caps for food. They ingest them but can’t digest them, so their stomachs fill with plastic and they starve to death, even though they continue trying to eat. Additionally, fish on the low end of the food chain consume tiny bits of plastic, and they’re in turn eaten by larger fish which we catch and eat. So we’re now quite literally eating the plastic we produce. Not an appetizing thought. We have no idea. We have estimates on the size of the patch, at least in terms of surface area. 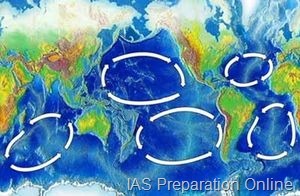 Researchers peg the trash gyre to be as large as the continental United States, and according to HowStuffWorks.com, every square mile of ocean hosts 46,000 pieces of floating plastic and plastic constitutes 90 percent of all trash floating in the world’s oceans.. But exactly how many pieces of plastic is impossible to say, and researchers are still stunned at how much they find when they get out there to assess the damage we’re doing to one of our most precious resources. What’s worse – the Pacific Garbage Patch is not the only trash vortex out there. 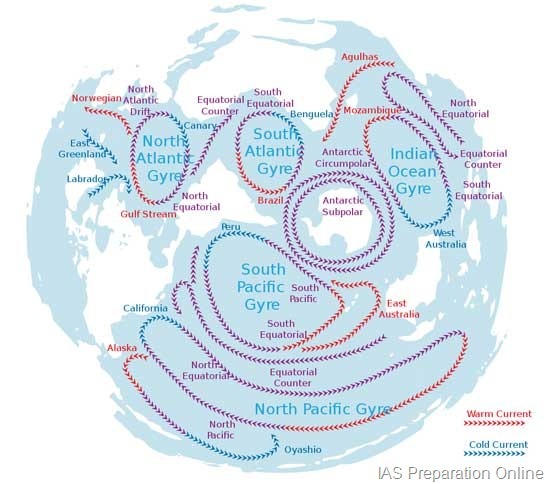 There are five – yes FIVE – trash gyres. 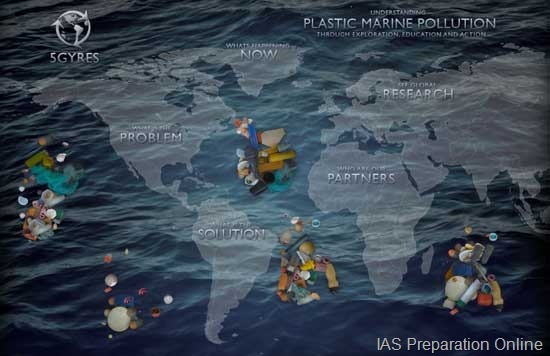 Located in the Pacific, Atlantic and Indian oceans, the trash gyres represent what we’re doing to our planet on a global scale.